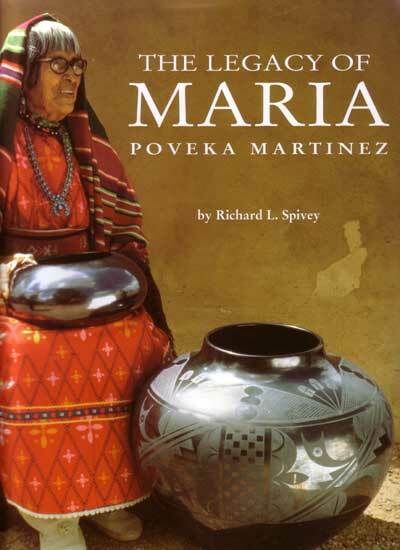 Spivey, Richard, "The Legacy of Maria Poveka Martinez"
“The ceramicist Maria Poveka Martinez (1887-1980), known to the world as “Maria,” continues, more than two decades after her death, to be the most famous and recognizable Native American artist ever known. Partly it is that her pots, humbly called, are breathtaking works of art no matter the comparison. It is also true that by virtue of her enormously generous spirit and radiant being she managed a kind of approachability that most legends protect themselves against. We feel we know her when her pots have touched us, and out of this exchange something is better in this world. 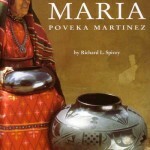 The Legacy of Maria Poveka Martinez is Richard L. Spivey’s masterwork as well, his tribute to a friendship with a great artist that began with Maria’s son Popovi Da and extended to Maria and to many of her family members who joined over the years in the collaborations that brought San Ildefonso ceramic art to the world while reviving its ancient roots for every generation of artist to come. Two hundred fine examples of Maria’s pottery are reproduced, many heretofore hidden in private collections and museum storage. Among these are nine magnificent storage jars comprising the entirety of the artist’s production in this form. The author’s long association with the family yields reflections on the artist and her important collaborative relationships with Julian Martinez, their son Popovi Da, and daughter-in-law Santana Martinez. The artistic achievements of Maria and Julian’s descendants document significant developments in Pueblo ceramics at San Ildefonso. Many of grandson Tony Da’s works are assembled for the first time. 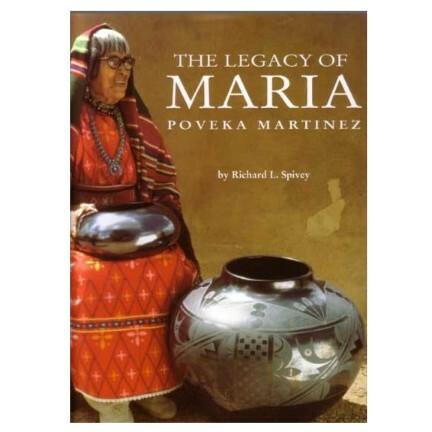 This is a great book if you want to learn more about Maria Martinez, Popovi Da, Tony Da, Santana & Adam, Barbara Gonzales, Cavan Gonzales and other members of the Martinez Family.